Bali is where it all began for me and my online business. So returning to the island of the gods… 🌴 it really was a full circle moment for me. For those of you that have been following my journey for longer, you’ll know that my first venture out to Bali was a huge catalyst for my business. It was the first domino piece that fell and triggered the unraveling of events… all the way to me being here, right now, in this moment, typing up this blog post. So when I set about hosting another business retreat, I hoped that the attendees would also feel the magic and experience the transformations that I had in Bali my first time being there. 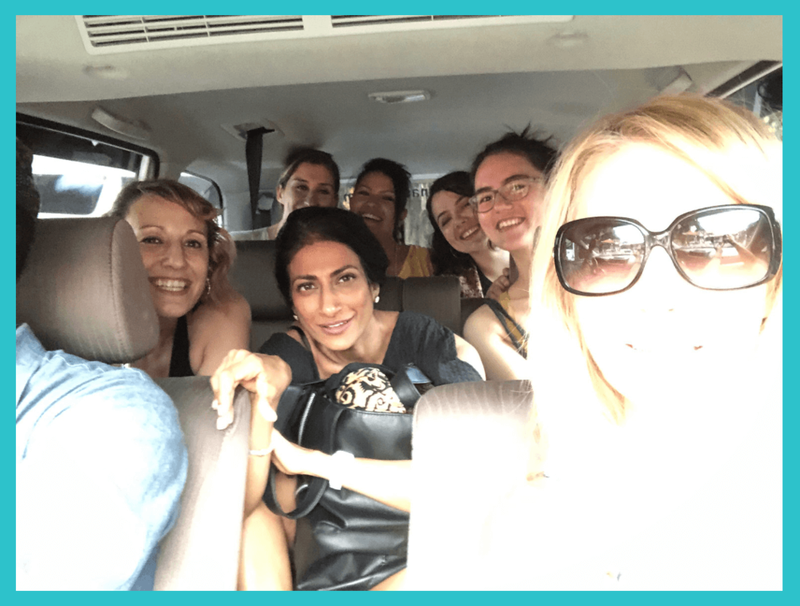 7 women gathered in the luscious forests of Ubud, Bali to embark on a 10-day journey of growing their businesses, building connections with each other, and experiencing all that Bali had to offer. If you missed out on this retreat, grab a comfy chair, sit back, relax and check out the video below to see all that we got up to! Now that I’ve had a bit of time to digest all the amazing things that happened at the retreat, here are 3 of the most unforgettable things that I will remember forever from the Bali Chill ‘n’ Work Retreat. So… the million dollar question: were there lightbulb moments? This video made me tear up a little to watch. Being an entrepreneur, all you could ever hope for is to make real change, to influence, and to encourage others to pursue and grow their passions. Every time I am given the opportunity and honor to do that, it humbles me and makes me so eternally grateful. 2. Three words: Incredible. Value. Galore. If I had to list out every. single. moment. that incredible value was shared between participants or by presenters during this retreat, this list would stretch out into the never-ending blackhole of the internet. Ruth shared an amazing presentation on how to recharge, refresh and refocus as a business owner, freelancer or entrepreneur, and gave us actionable strategies that we could use each day in our business to feel focused and in control, versus overwhelmed and panicked. 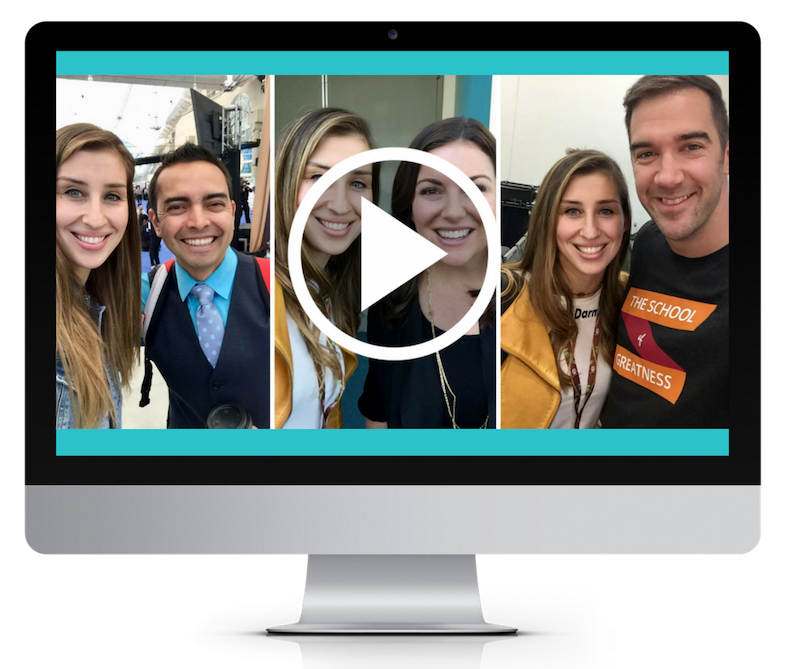 In this workshop, I shared how I created my multi-6-figure income streams through my popular online courses, as well as the 8-week plan the attendees could follow to launch and create their very own first e-product! Natty Valencia, one of my friends and coaching students (super full circle! ), presented an inspiring talk on how to make sure your online branding is unique enough to stand out in the mass sea of online content and brands! In this workshop, I shared on all things storytelling and getting free press for your business, including how I successfully pitched podcasts and popular online websites like Forbes, Entrepreneur, Brit + Co, Later and Teachable. I also gave out my tried-and-true email pitch templates! Now, it wouldn’t be an Elise party if we didn’t chat all things Instagram. In the live hot seats, I shared strategic feedback on all the retreat attendees' Instagram accounts, focusing on messaging, branding and best practices to grow a biz with Instagram in 2019. Just writing this out again, I’m blown away by the amount of cool stuff that was shared at the retreat. If you’re feelin’ bummed about missing out on the workshops that I mention above, don’t be! I have a special surprise 🎁 just for you at the bottom of this post. Aside from the workshops, there was also just so much awesome general biz knowledge being thrown around. She later told me that she was taking notes nonstop trying to catch everything valuable that was being shared. Yeah, I’m not even joking. Our hotel was right next to the Sacred Monkey Forest, which meant monkeys were roaming our balconies and workspaces, so we were given orientation into the basics of the cheeky, cheeky Balinese monkeys. It was quite the experience for all of us, but it made for some funny stories of stolen chocolate cake 👉, stolen chili paste or a monkey who was just really adamant about wanting to touch a candle. The retreat consisted almost exclusively of amazing moments, but naturally, as with any life experiences, it wasn’t all cherries and rainbows. The biggest not-so-great moment: the $5,563 mistake that I made in Bali. Well, well, well. What can I say? Ladies, it was an absolute pleasure. I’m so excited to see what each of you get up to in the coming months, because I know we will definitely be hearing from every single one of you. Ruth continuing on to share her amazing gift of mental health wellbeing with more and more businesses around the world. I’m so incredibly amazed at the amount of work and dedication that each attendee put into our time together and growing themselves in their businesses and mindset. Aside from the business “stuff,” I also felt a strong connection within the group itself and all the bonds that were being formed through the shared laughter over silly monkeys, delicious pad thai, and personal backstories. I don’t think I can put the beautiful, surreal experience that we had together at Jungle Fish into words. And what a grand adventure it was. So… ya missed out on the Bali retreat but still want to grab all the valuable workshops and goodies? You’re in luck, my friend. What can I say? I give the people what they want, especially if what they want extends out the power of the knowledge and value shared during the retreat! Unveiling…. the Virtual Ticket to the Bali Retreat. Ta-daaaaaah! Grab your Virtual Ticket today to get instant access to all the value-packed and actionable business and Instagram trainings that were shared at the Bali Chill 'n' Work Retreat!